The climax to the very successful Pokerstars.com European Poker Tour Season 3 has started today at the Monte Carlo Bay Hotel and Resort in Monaco. You can catch all the action as it unfolds via Poker News' Live Update service. This promises to be the biggest tournament in Europe to date. Over 700 players have registered for this event, with Phil Ivey leading the pack of poker's elite into battle at €10,000 apiece. The first two days of action will, as usual, be split into "flights", with half the field playing down to a manageable number on day 1A and the other half on day 1B. The remainder on each day then return for more serious stuff on day 2. Some players prefer the day's rest that comes from being a day 1A player and others, if they have made it through, prefer to get straight back into the fray while the momentum is with them. They would clearly prefer day 1B! The playing structure is languid and allows huge amounts of time for studied poker to be played. The blind levels are 90 minutes each. They were 60 in the other EPT tournaments, but Monte Carlo is the Grand Final and twice as expensive, not to mention expansive. Each player begins play with 15,000 in chips and there will be seven blind levels on the first day. Each table is 9-handed for the opening days 1A, 1B and 2, but 8-handed thereafter. Apart from Phil Ivey, other known faces of the game attending, many with their association with the sponsors Pokerstars.com to the fore, are Greg Raymer (WSOP champion 2004), Chris Moneymaker (WSOP champion 2003), Noah Boeken, Humberto Brenes and finalist in the last EPT in Warsaw, Katja Thater. All these guys and girls will be wearing their Pokerstars colours. 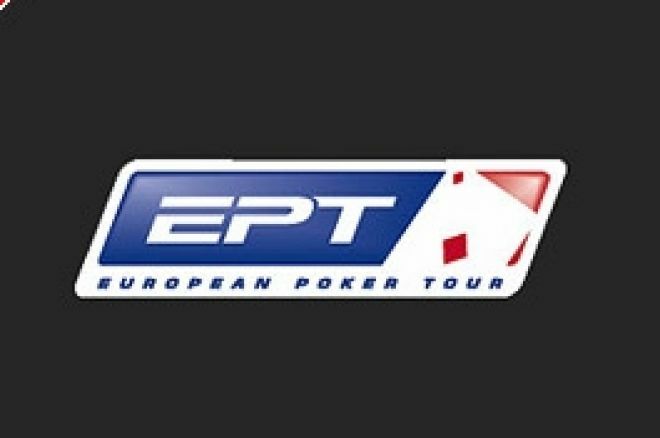 Also in evidence and one of many representing Full Tilt Poker is top UK pro Roland de Wolfe who has EPT and WPT titles to his name already. Other previous Season 3 winners present are Peter Jepsen (EPT Warsaw) and Andreas Hoivold (EPT Dortmund) amongst the many others. William Hill Grand Prix winner (on Sky TV last night, repeated today) Martin Wendt of Denmark is also here spending his winnings. Also at Monte Carlo is Aussie Millions champion Gus Hansen and the runner up in that Melbourne classic, Jimmy Fricke. Tune in to the live service over the next six days for all of the intensive action from the shores of Monte Carlo! Ed note: Qualify for the best tournaments in the world by downloading Pokerstars.com!